The producers of ‘Majili’ have confirmed the release date on April 5th. The film’s post-production works are nearing a completion and the producers have acknowledged that there is no change in the release date of the film. 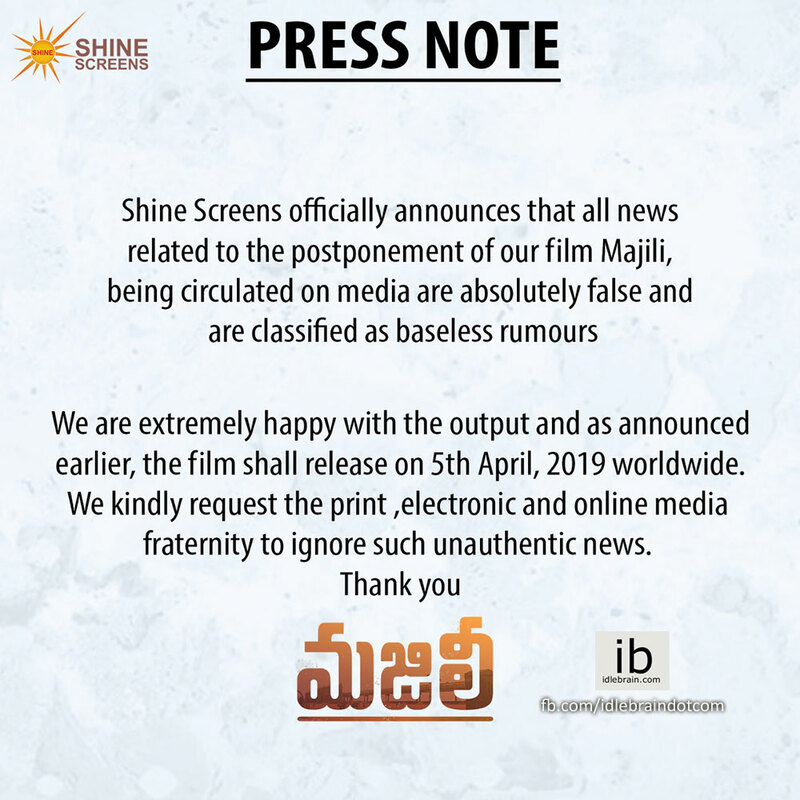 Majili is directed by Shiva Nirvana while stars Naga Chiatanya, Samantha and Divyansha Kaushika in the lead roles. The film is produced by Sahu Garapati and Harish Peddi under Shine Screens banner.